Why Do People Live in Prescott Place? Tucked away in the Fieldstone Farm development is a section of townhomes offering a lot of amenities at a very affordable price. Prescott Place is located just west of Hillsboro Road off of Fieldstone Parkway on the north side of beautiful Franklin TN. This Franklin TN neighborhood is part of the Fieldstone Farms development which offers a wide variety of home styles and sizes. Many homebuyers consider the Condo and Townhome market in Franklin a great option. It offers home ownership without all of the maintenance associated with single family detached homes. What's the Prescott Place Neighborhood Like? There are 206 units within this townhome development, all of which were built between 1997 and 1999. The mature trees and winding roadways give the development a comfortable "small town" feel. The homes range in size from 1,173 square feet to 1,539 square feet. All of the townhomes have 2 1/2 baths; some of the largest units have 3 bedrooms, most have 2 bedrooms. All have single car garages. If you are looking for exterior maintenance free living with great amenities, this development may be the one for you. Exterior unit maintenance, insurance and grounds maintenance are all covered as part of your association fee. Amenities include a pool, clubhouse and tennis courts. What Activities are Offered Near Prescott Place? Prescott Place is two minutes from the closest Publix grocery chain. There are a variety of other shops, bank and restaurants in this location. The Williamson County Recreation Center is just a 5 minute drive for those who like to take advantage of the indoor pool, fitness classes and kids' programs. Prescott Place is just a short drive from Cool Springs Galleria and historic, downtown Franklin. Both offer ample shopping and dining opportunities. For those who enjoy golf, Spencer Creek Golf Course is minutes away. This nine-hole course is open to the public. What Schools Will Prescott Place Students Attend? Within close walking distance is Hunter's Bend Elementary School, serving the children of this neighborhood. Grassland Middle School and Franklin High School are currently zoned for this area, but buyers should verify this information with Williamson County Schools at the time they purchase. Let Us Help You Find Your Prescott Place Home. 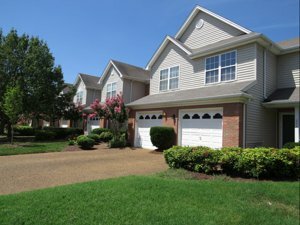 Below is the complete list of Prescott Place townhomes for sale in Franklin TN. Prescott Place townhomes sell quickly so if you are considering a Prescott Place home purchase, contact Tammie White at (615) 495-0752.